point being, i absolutely fell in love with this combo and knew i had to share. what are some of your favorite prints to mix and match?! I would have done the same thing! Definitely can't pass up a good deal at F21 :) I love the floral print paired with the stripes, so fun! What size are you in the striped shirt?. Can you please do a makeup and skincare post sometime!! your so beautiful!! Love getting a look for less! I find that happening to me a lot, especially at Target. I love mixing stripes and polka dots myself, but will have to try the floral and stripes look. Cute! Would be so flattered if you would check out my blog! love the mix! so cute! Gosh, I just love you. 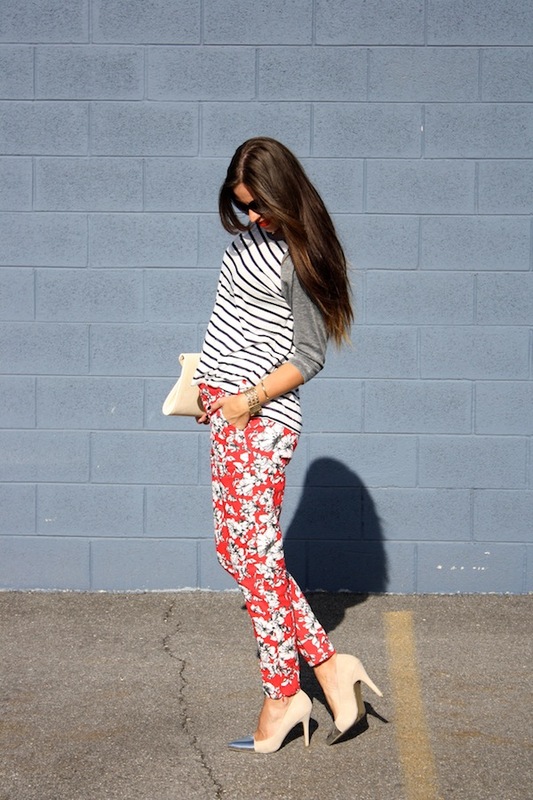 Perfect print mixing! Love the florals and stripes. I love when you find something you love at a great price! This combo is absolutely lovely.